As legal sports betting spreads across the United States, the NCAA said it has no intentions of allowing athletes and coaches wagering money on sports. 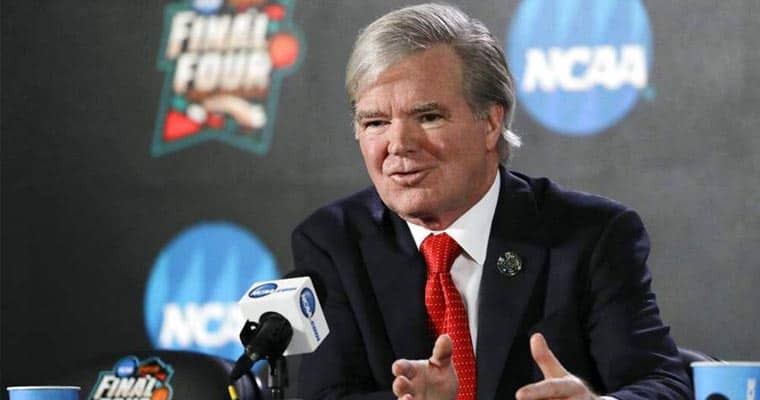 NCAA president Mark Emmert told reporters at a Final Four press conference in Minneapolis that he remains committed to keeping the ban in place that prevents college athletes and coaches from gambling on sports. While most would agree with banning athletes from betting on their own sport, the NCAA has begun to be questioned on its reasoning as to why athletes — who are of age — can’t wager on sports they are not involved in states where sports betting is legal. Currently, the NCAA rules state that student-athletes and coaches are prohibited from gambling on all sports, not just the sport in which they participate. Questions on whether the NCAA would consider relaxing its rules in the future is a direct result of the ripple effects following the Supreme Court’s decision in 2018 to overturn the federal ban that had prevented all states — except Nevada — from offering sports betting. Today, all states are free to choose whether to legalize and offer sports betting in their jurisdiction. The NCAA fought against allowing states outside Nevada to legalize sports betting but after losing the battle in court, Emmert said he now plans to work with the major professional sports leagues and call for a set of guidelines at the federal level that states can use as a template. While the NCAA appears set on not allowing coaches and athletes the ability to gamble on sports, the governing body has lifted its ban on holding championship games and events in states where there is legal gambling. The rule would need to be passed by the NCAA legislation to be permanently changed, but this is expected to face no opposition. Previously, the rule only applied to Nevada, but considering that more than half of the states in the country currently have pending bills to legalize and offer sports betting — and most of those state are expected to pass their pending legislation — the NCAA has essentially been forced to lift the rule since it would only be a matter of time before there were no eligible states that could host a championship game or event.